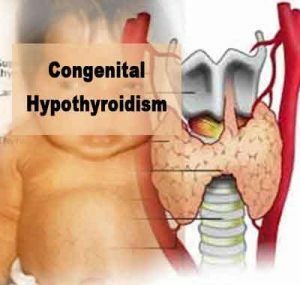 New Delhi : With an aim to diagnose Congenital Hypothyroidism (CH) early among new borns and avert physical and mental retardation, health experts urged the government to make compulsory the screening for CH among all new borns. The experts, on the basis of several well established studies, also concluded that CH is one of the few conditions which can be identified through early screening of new borns but, if left undetected and untreated, can leave permanent damage. According to the doctors, most new borns with CH appear normal at birth, even if there is complete lack of development of the thyroid gland. This is because a small amount of thyroid hormone (T4) from the mother is transferred to the baby during pregnancy. Around 10 per cent of infants with CH have other associated abnormalities most commonly witnessed are cardiac abnormalities followed by abnormalities of the nervous system and eyes. “The first few years of a child’s life are extremely crucial for mental and physical development. If adequate amount of the thyroid hormone is not available, the human brain cannot develop normally,” said Rajesh Khadgawat, Additional Professor, Department of Endocrinology and Metabolism at AIIMS. Khadgawat said the child who is diagnosed and treated at a later stage will catch up on physical growth but will, however, lack mental development. “Therefore, early identification, diagnosis and treatment are essential,” he said. “CH is easy to diagnose and treat. That is what we need to create awareness about among the masses. There is a need to have legislation which mandates universal screening programme for the new born,” said Virmani. According to the doctors, a child may have CH even if the parents may not be suffering from any Thyroid problem, which makes the screening more important. CH is one of the most common preventable causes of mental retardation. World wide, CH affects 1 in 3,800 new borns on an average. Studies from Mumbai indicate that it might be more common in India, with the disease occuring in 1 in 2,640 neonates. Medical sciences say that Thyroid hormone is very important for the development of the brain and overall growth. In CH, the child suffers from mental retardation, and below-normal physical growth. If left untreated, the damage becomes irreversible. “The situation on ground is much more than what studies reveal. A new study shows that 1 in 1,000-1,500 children suffer from CH. A simple test to detect CH within 2-5 days is essential,” said Jevalikar.